We are told in the Bible that when someone asks in need, our response should be as if Jesus made the request himself. It is in this spirit that I write to you today to ask for your help. Brikena was a Master’s Commission student at Shoreline Church, Southport, between 2011-2014 and served the church faithfully, far away from friends and family, as a missionary to our town and to our country. 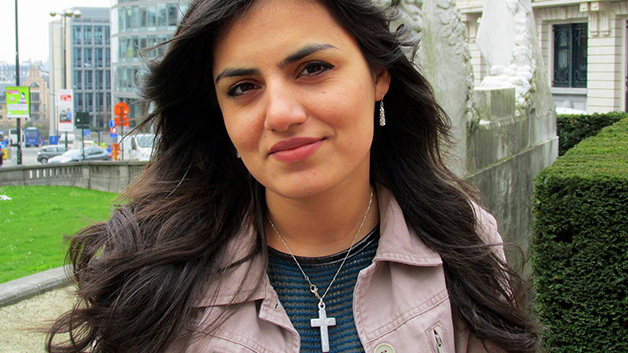 Brikena returned to serve her church in Albania last year, a country where the average daily wage is just £8 per day. A couple of months ago Brikena’s father, Xhiku, had an accident at work while working on a night shift at a port. He and his co-workers were inside a ship when 16 tons of iron fell from above, trapping his legs. After waiting for 2 cranes to arrive to remove this iron from his legs, he was taken to hospital in Albania but he needed surgery in Italy. The family have benefited from financial gifts and have borrowed from friends, but the expense of his medical care is too expensive for them to continue. Without this medical care he will be unable to use his legs. Treatment that here in the UK we would expect as standard, is a far from reality for the Bejtja family. Brikena has reached out to the church here in the UK to ask if we can help meet the families need. If you can give, even a small amount, to this campaign, we know that Brikena, and her family would be forever grateful. Your gift will help pay for further surgery, consultations and injections. The money will be distributed to the family via the local church in Durres. Can you donate to this campaign and help this family in their hour of need? If you are financial able to give, please give what you can by going to www.shorelinechurch.org.uk/briki and donate using credit card, debit card or paypal.